Human check: 3 + 8 = ? WeGolf has been playing the course since back 2013 and has been the first company to organize events there. It is a great facility to host events and a fantastic golf course to be challenged. It still needs maturity and trees gowing more to define more character into some holes but this venue will get better and better every year. It is still not famous but that 3rd hole is one feature that atracts golfers from all over the country. The place used to be a renowned Estancia in the Buenos Aires Province. During 2008 the golf course started its construction that lasted more than 5 years until it was finished in 2013 but not open to play until late 2015. 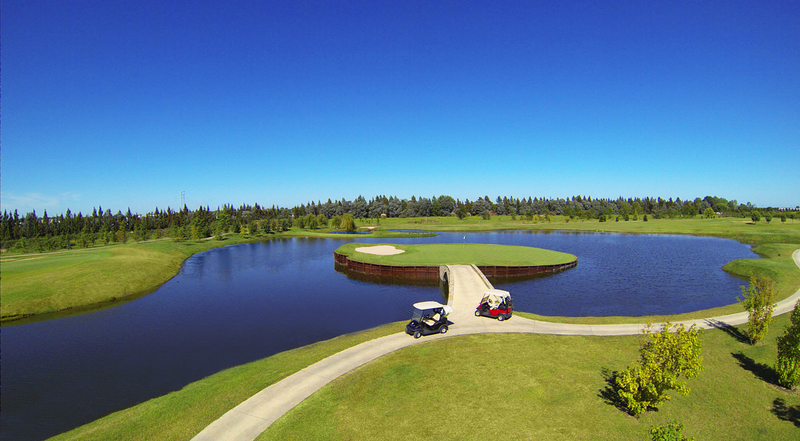 Argentine Arquitect Emilio Serra together with the Navilli family developed this fantastic golf course with features from many of the most famous golf courses in the world including its 3rd hole which was inspired from 17th at TPC Sawgrass. Mantained to the highest level, with USGA constructed greens and with the maintenance process certified ISO 9000 y 14000, it already hosted 2 PGA Tour LA Events and some local qualifying series and it is already considered among the best courses in Argentina.